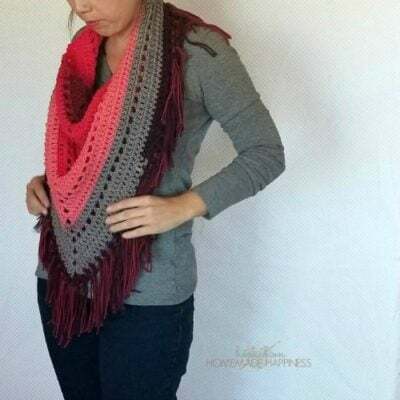 The fringe, the shape, and the beautiful drape of this scarf will make you want to crochet this beauty in all colors to go with all your favorite outfits. The pattern calls for a worsted weight yarn and a 5.00mm crochet hook. This pattern was designed by: Breann from Hooked on Homemade Happiness.